Public defenders are a crucial part of the justice system. Governments should not skimp on this important role. I need a public defender. No, I’m not in any trouble I know of. Whether sitting in a holding cell or comfortably at home, the fact is we are all in need of a public defender. In my just-completed 28 years as a judge (not to mention the prior decade as a prosecuting attorney), some of the finest courtroom work I observed was by lawyers appointed to represent individuals accused of crimes or facing off with the state in civil commitment or dependency proceedings. 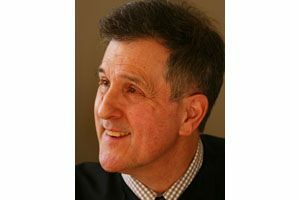 William L. Downing became a King County Superior Court Judge in 1989 and retired in 2017. He is now a private arbitrator/mediator with JAMS of Seattle. This doesn’t mean these attorneys sported the best wardrobes or pedigrees; I’m speaking of the depth of their commitment both to the person at their side as well as to their vital role in our justice system. It is no contradiction to say the public defenders’ role is not to make the system run smoother but rather to make it run better. Just as any president needs the rigorous scrutiny of the press and the other branches, so too do prosecutors and judges need the check provided by counsel appointed for the indigent. Most often — and most critically — those lawyers are the public defenders whose daily job is no less than ensuring that our courts are truly upholding the values that are central to our shared beliefs. The ideal of “equal justice under law” can only become reality thanks to the good work of public defenders. Seeing that they are ready and fully equipped to do this job is something we all need. And yet, across the state of Washington, the indigent are not always uniformly granted this constitutional right in full. A set of statewide public defender guidelines is on the books but, regrettably, these remain largely aspirational in the absence of an effective enforcement mechanism. This can allow local authorities to fail to meet their constitutional burdens and do so with impunity. And that fails all of us. In King County, where I long sat, public defenders all carry staggeringly heavy caseloads. Yet, some magical combination of their training and personal pride makes it quite rare to see a client who appears to pay a price for that circumstance. To the contrary, it is common to see a public defender in the courthouse hallway counseling one client through the entire noon hour and then, at day’s end, rushing off to the jail to advise others. No doubt there are many more defenders throughout the state who draw on similar assets to commendably meet that high bar. It is apparent, however, the situation is far from uniform across the state. Different jurisdictions may have varying legal traditions and budget constraints and this can result in policy decisions that, on the surface, may be seen as mainly shortchanging only those who have run afoul of the law. Understandably, it may at first blush seem expedient to place this burden upon the least of us. Of course this misses the point that an injustice to one is an injustice to all. It diminishes the stature of the court system, it represents a potential threat to all of our rights, and it undermines the core values of our society. This recurring situation has not been remedied despite the valiant efforts of many. Washington does now have in place a sensible set of statewide standards for what is required for constitutionally adequate public defense services. Such things as training, capping of attorney caseloads and ensuring the availability of investigative and forensic resources are essential to having the job done right. For at least a decade, the American Civil Liberties Union of Washington has been pushing for a mechanism to ensure that local governments were providing adequate resources for the defense of the indigent. This could be accomplished through legislation or, failing that, through litigation. The ACLU recently filed a new lawsuit in Thurston County. It complains of inadequate services provided to juvenile offenders in Grays Harbor County but seeks broader relief in the form of an order for the creation of a statewide enforcement mechanism. Their sensible proposal is to put teeth in the oversight authority of the statewide Office of Public Defense. In pressing this issue, acting much like the dedicated public defenders of our state, the ACLU is also representing all of us.